Something about this time of year makes me crave warm and cosy things. Fuzzy blankets, hot cups of tea and hot cocoa, warm bowls of food. I've never been much of a soup person but I love chili. I love how warm it makes me feel. The spiciness of the chili powder and cumin. It's the perfect dish for the fall and winter time! I've been making this recipe since I was a teen. My dad and I made it up in the store and then changed it as needed as we made it more and more. When we finally had the perfect combo I sat down at our kitchen table and wrote it out. 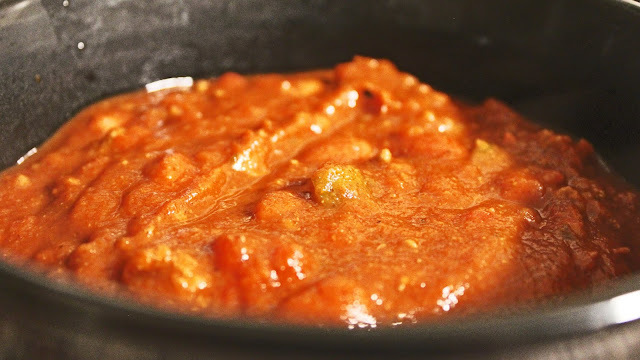 Spoiler alert this mostly a can recipe. When I was younger we eat a lot of canned goods with some seasoning. Money was tight and this chili could feed us for a week. I do hope to make it from scratch one day. 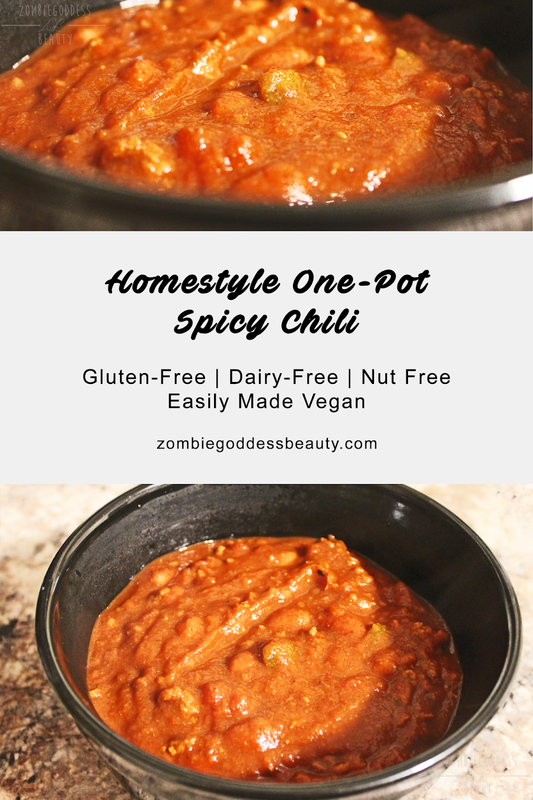 Anyway, when I got a craving for chili this week I had such the urge to share it here! I make it every fall season and this year I even made it over the spring/summer and ate a whole pot myself. Which is surprising since this recipe makes like 8-12 servings. So let's get started! I start by prepping my raw ingredients. I dice the onion and the green bell pepper. Then toss them in the soup pot I'll be using to cook the chili. WIth just enough olive oil to cover the bottom. I saute them on a med-low heat until they aren't firm anymore. Then take them out of the pot and set them aside. Then add 1 pound of ground beef/chicken/turkey or meat substitute to the pan and cook until brown/golden brown. 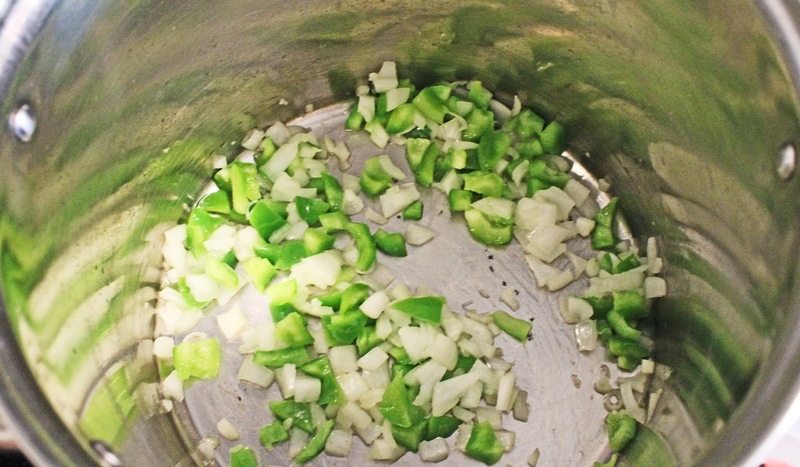 Remove from pot and wipe it down to remove any excess grease/oil. You can also skip this step altogether if you don't want meat or plant-based meat. Begin opening the cans and emptying them into the pot. 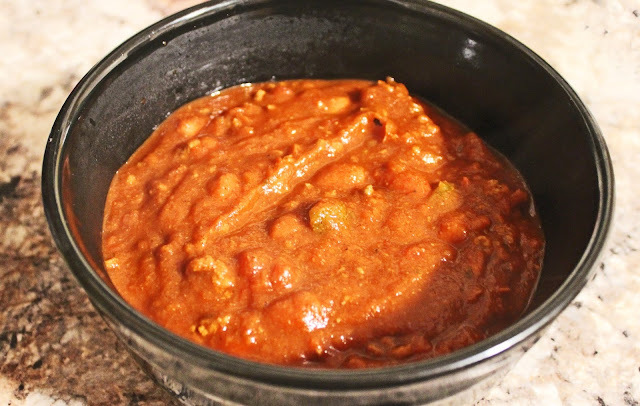 DO NOT rinse cans and dump water into the chili. DO NOT add any water to the chili at all. It will become too thin. TIP: Make sure you use Joan of Arc beans. They taste the best. TIP 2: Make sure your Mexican/chili style tomatoes have pieces of jalapenos. Once all the cans are emptied into the pot give it a stir and add in the chili mix packs and stir. Taste to test if it is too spicy. Add chili powder and cumin to taste. Heat on a med-low heat, stirring frequently to make sure the chili doesn't stick or burn. Heat until the onion and green pepper are cooked thoroughly and the tomatoes are heated through. Serve with crackers or tortilla chips or on its own. You can also top it with cheddar or Mexican mix cheese or sour cream. The leftovers can keep in the fridge for up to 7 days (maybe a tiny bit longer) and keep in the freezer for 5 months. 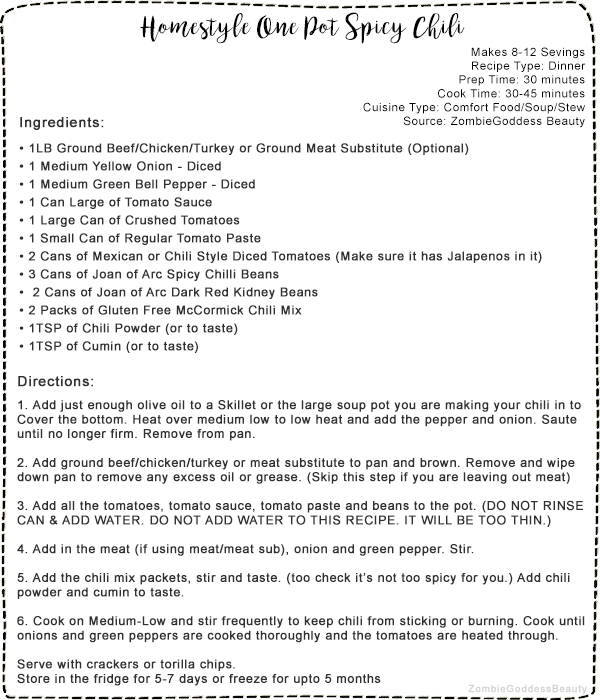 Click here to download a HQ copy of this recipe card for your collection! I hope you guys enjoy this recipe! Let me know what you thought of it in the comments! What is your favourite comfort food to make you feel cosy? Let me know! I'm always looking for new recipes!